Kick off the weekend by completing a GoQuest! Explore the world, meet the FGP All-Stars and earn rewards! When you’re done, head to the FunGoPlay Forums and tell us about your experience. Head over to SoSo Stadium and meet The Kid. He’ll give you instructions on how to complete your first GoQuest. 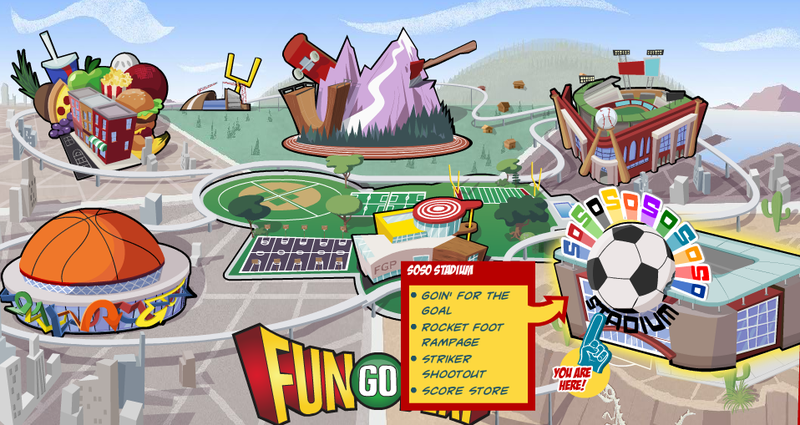 FunGoPlayers can find Soso Stadium on the Map! Posted by fungoplay on June 24, 2011 in GoQuests. Where is your login/regastration,i can’t find it. Go to http://www.fungoplay.com and click “play now.” From there, you can login or create a new account.